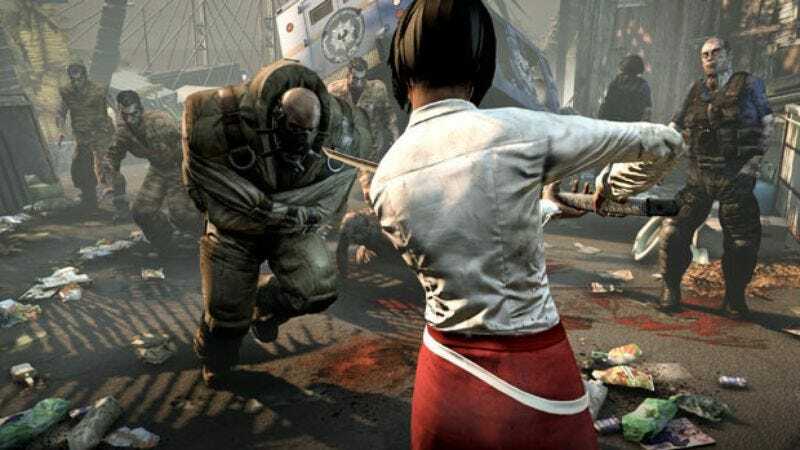 Back in 2011, we reported that Lionsgate had picked up the rights to make a movie that was, essentially, based on video game Dead Island’s legitimately excellent announcement trailer. The game itself—made by a studio called Deep Silver—didn’t end up being anything especially notable beyond its solid zombie-punching mechanics, but man, that trailer. Anyway, that movie never happened, but Dead Island 2 was announced at this year’s Electronic Entertainment Expo with a pretty good trailer of its own, so now the idea for a Dead Island movie is getting stirred up again. As reported by Deadline, indie production studio Occupant Entertainment has now picked up the Dead Island rights, and it’s not even pretending that the trailers weren’t a huge factor. Describing how excited they are to be making this movie, Occupant’s Joe Neurauter and Felipe Marino said that “Deep Silver has created a highly successful game franchise based on very cinematic, widely viewed and well received trailers, which provide a great template for launching a film franchise with a distinctive and commercial take on the zombie apocalypse.” Note how little time is spent actually describing the game that the movie will ostensibly be based on. The trailers are good, though. If the movie can manage to put out something near their level of horror/comedy/cleverness, it might actually end up being a surprisingly fresh zombie story. We just hope it maintains some of the plot from the actual games, since one of the central characters is named Sam B., and we think that’s pretty cool for no reason in particular.